Why is learning color recognition at a young age so important? Color is an easily noticeable part of the world around us and is, consequently, one of the ways children can initially classify what they see. Learning the similarities and differences between colors is a basic skill—one that serves as a building block for a child’s future development. Dr. Judith Myers-Walls, project director of Parent-Provider Relationships at Purdue University, says that recognizing different colors is highly important. People, she explains, interact with color in roughly two different ways: we find colors both useful and expressive. Colors are useful in that they can describe an object (e.g. ask someone to hand you the blue bowl during dinner), convey specific information (a red light means “stop”), or help indicate and solve problems (if the front lawn is brown instead of green, then perhaps it should be watered). Colors can also be expressive and convey emotional and artistic meaning (yellow is often associated with happiness and red with energy and strength, for example). Learning both the colors themselves and their many implementations is key for young children as they continue to discover more about the world around them. As easy as this task may be for adults, most children struggle to learn the different names of colors. A Scientific American article discusses a study conducted at Stanford University that asked two-year-olds to name a color and pick it out of a lineup. Surprisingly, “most failed the test outright.” In fact, the study notes, children as old as six can continue to incorrectly name different colors. Why is this so? The article continues by explaining that different categories of colors are not universal. Different languages “vary both in the number of basic color distinctions they make . . . and in the ways they draw those distinctions on the spectrum.” For example, English has eleven basic color words (red, blue, yellow, green, black, white, pink, brown, gray, brown, purple, and orange), while the Pirahã language has only two terms for describing color (light and dark). This complication of learning colors through the lens of one’s own language, combined with the fact that colors themselves are overwhelmingly present at all times, can make learning the names of colors surprisingly difficult for most children. Parents and teachers need not despair, however: a variety of resources on the topic are readily available. The Indiana Institute on Disability and Community acknowledges the difficulty in learning colors and lists several tips for parents who want to help teach their children. Teaching color words and color recognition at the same time—especially by using primary and secondary colors—helps children identify colors more quickly. While reading a story, a parent can point out an object in a specific color and then ask the child to find another object in the same color. 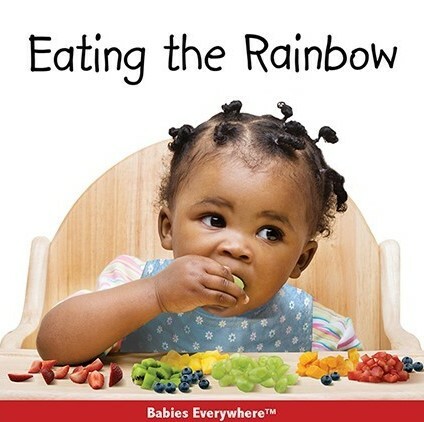 In Eating the Rainbow, for instance, you can show your child the green pear and then ask her to find the green broccoli on the same page. Another helpful tip from the Indiana Institute is helping children understand how color differs from shape. The Institute notes, “Children tend to notice the shapes and uses of objects before they notice color,” so parents are encouraged to “use identical objects that are different colors” to help children learn. Finally, playing games and involving children in different activities is always an enjoyable way to help with learning colors: sort laundry into different colors, draw pictures with colorful crayons, and play “I Spy” with your child! 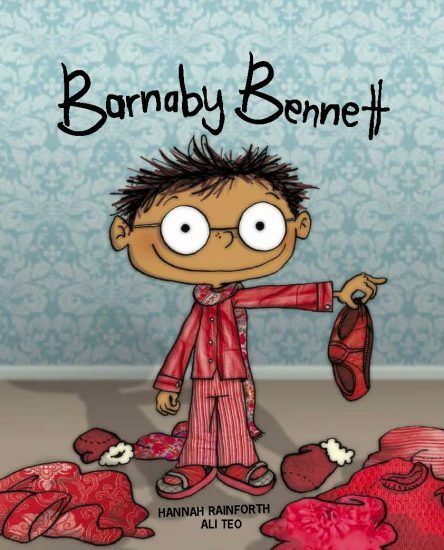 You can ask your child to find the purple sock while reading Barnaby Bennett or the blue parakeets in Brian Wildsmith’s Animal Colors. Learning about colors doesn’t need to be a discouraging process. Children can have fun exploring the colors in the world around them! This entry was posted in Uncategorized on April 1, 2019 by Star Bright Books.